So far we have had a fairly active October break. 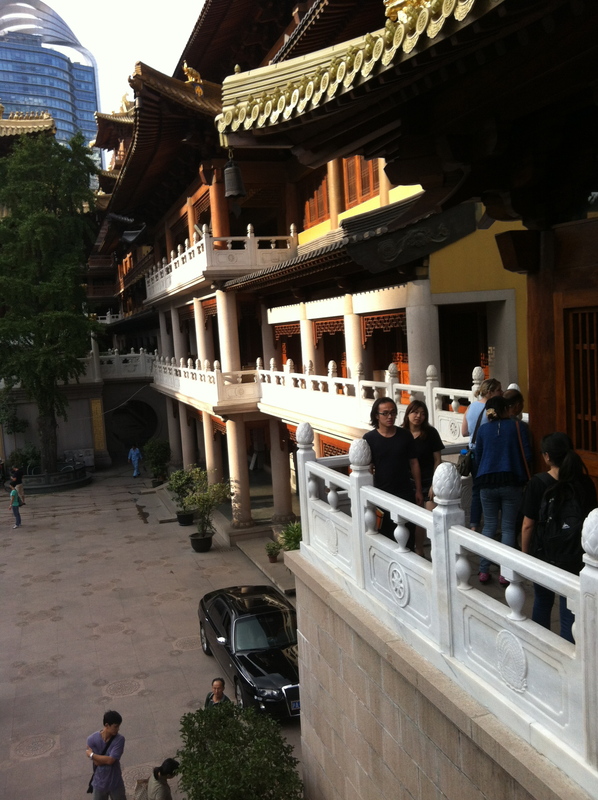 At the very start of break, we spent the weekend in Nanjing, China which you can read about in the previous post. 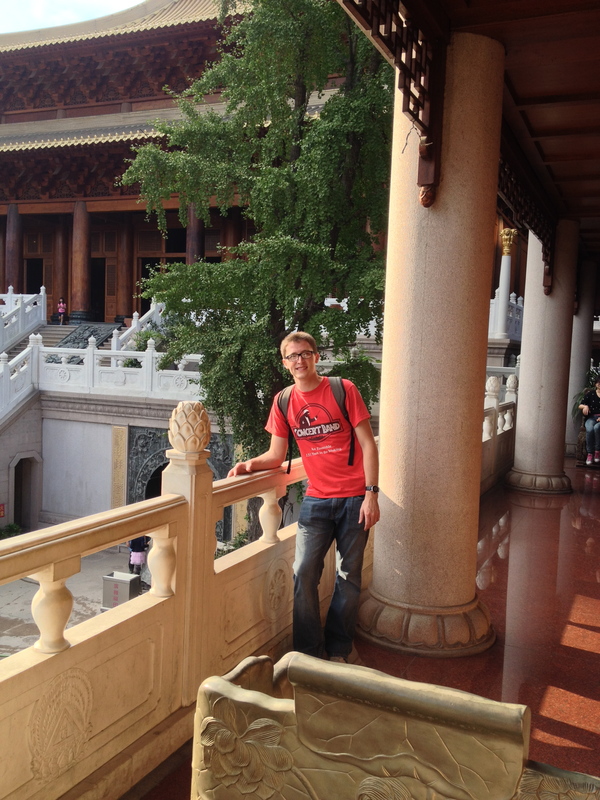 Nanjing used to be the capital of China, so there is quite a bit of history in that city. 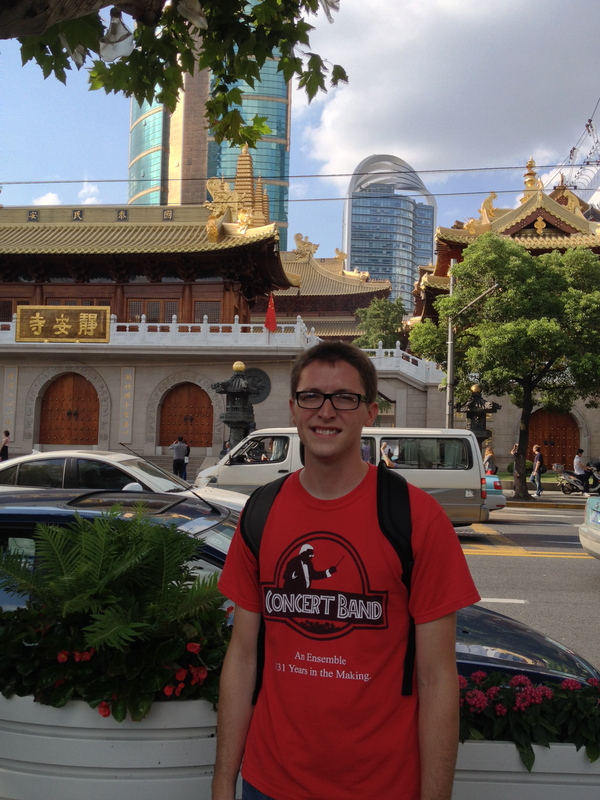 On Monday after we returned from Nanjing, we met up with a young couple who signed up to couch surf with us. There is a website that you can register with called couch surfing, and connect with people and places to stay for free all around the world. We had a married couple sign up to stay with us named Brett and Angie, and they are from Australia. They had previously come from the United States before then. 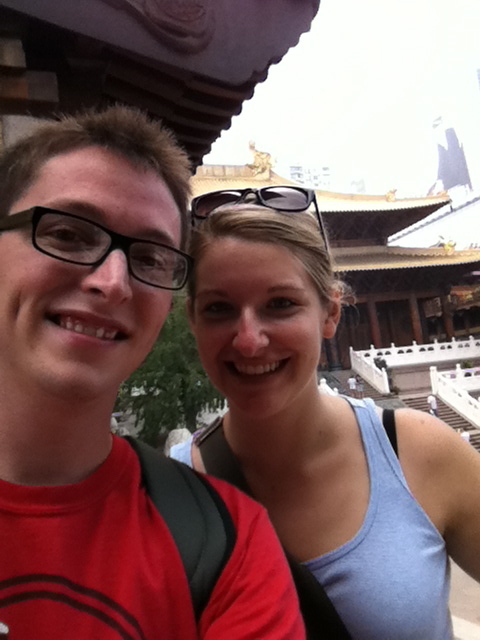 Brett was an engineer and Angie an educator, but they both quit their jobs to travel the world. They are approaching one year of traveling. What a cool adventure! We met them and brought them to our apartment, and then we all went off in separate directions. 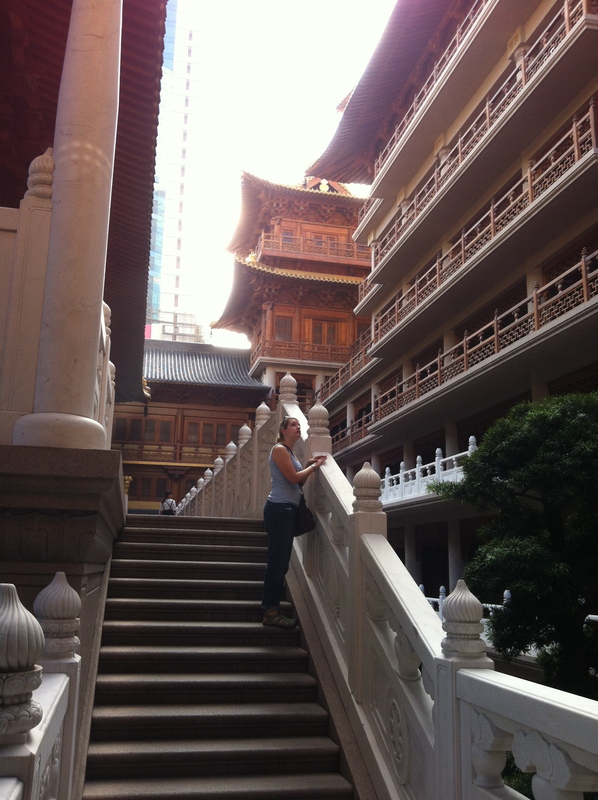 Angela and I decided to visit Jing’an Temple. This temple is not too far from where we live. 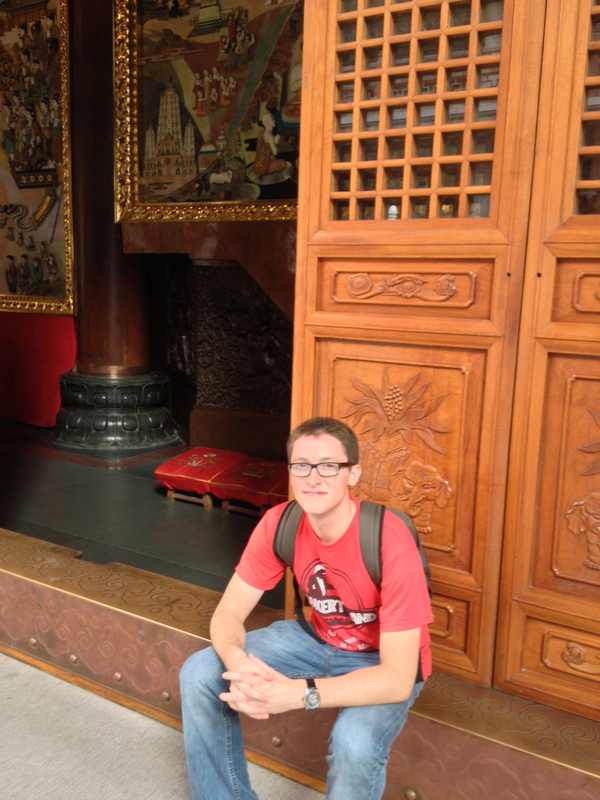 We found some delicious street food before entering into Jing’an Temple. The temple had a very large courtyard with a tower in the middle. The tower was supposedly very old. It brings you good luck to to give money to different gods or put money in different places around a temple, and by this large tower was a small box to put coins. However, most people here decided that it would be really good luck to throw their money into the tower instead. 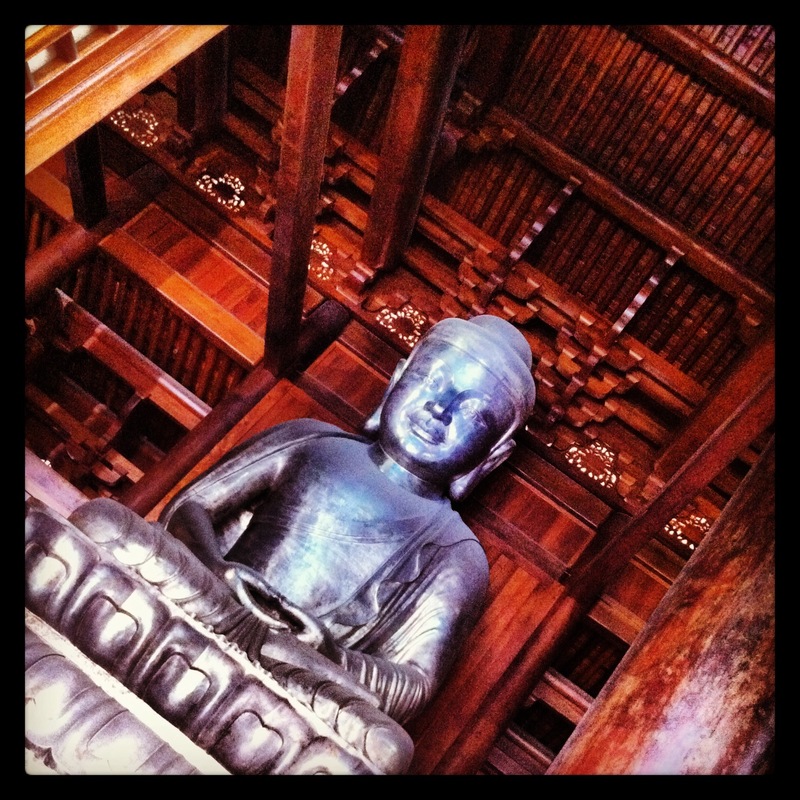 The temple had many smaller rooms with different statues in it. 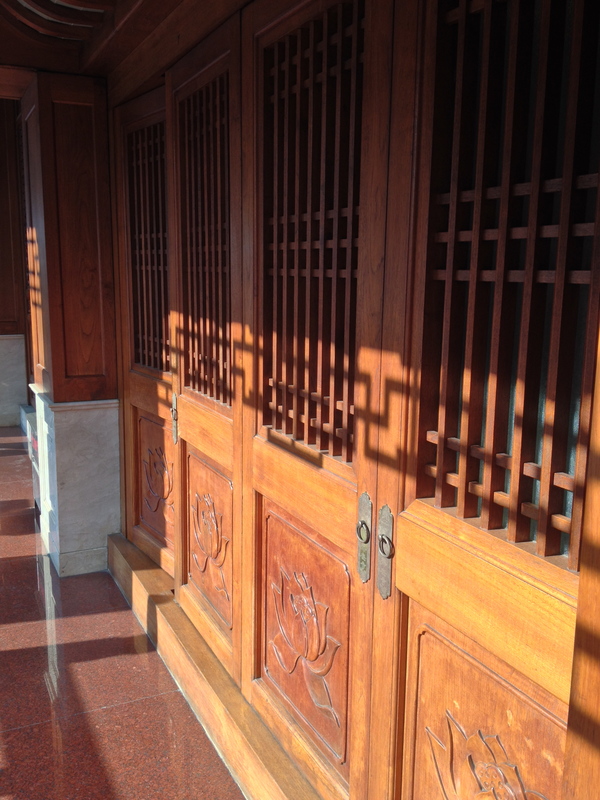 The architecture of the building was beautiful. 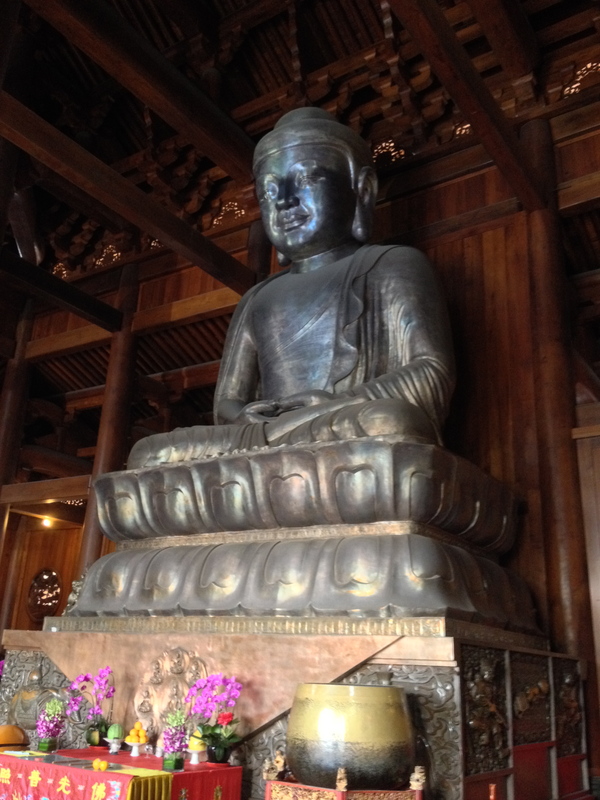 The largest statue was the Buddha in the main hall. It was made out of silver, and gigantic. 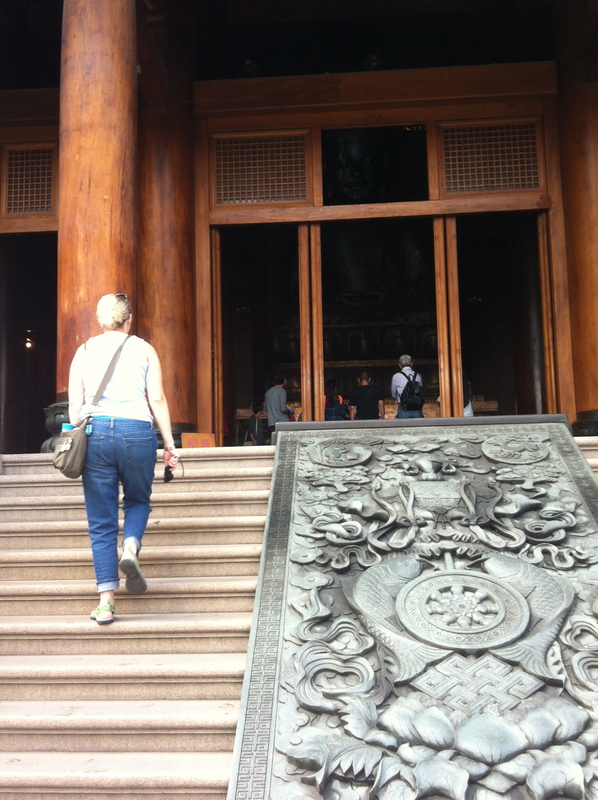 Here is a photo of Angela walking up the stairs to the main hall. Below is a good shot of the tower that everybody was throwing money into. To the right is the staircase leading up to the big Buddha. 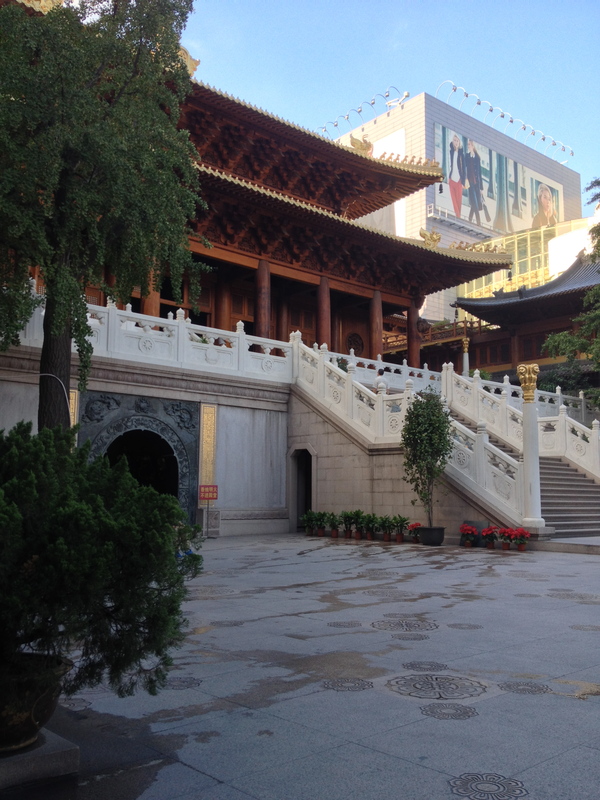 Below is a show in front of Jing’an Temple. 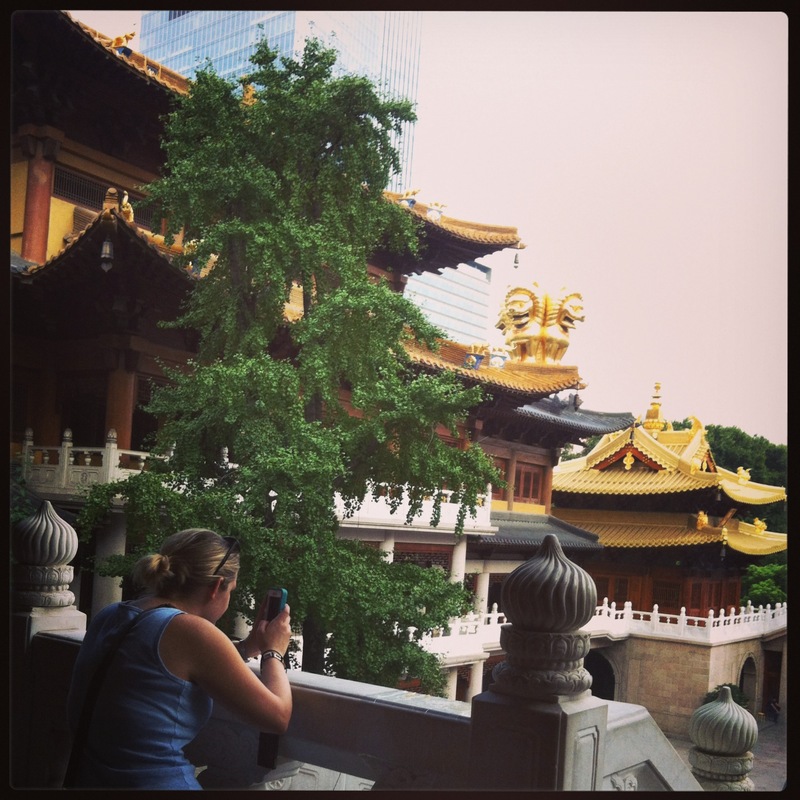 A tourist picture of a tourist taking a picture of Jing’an. 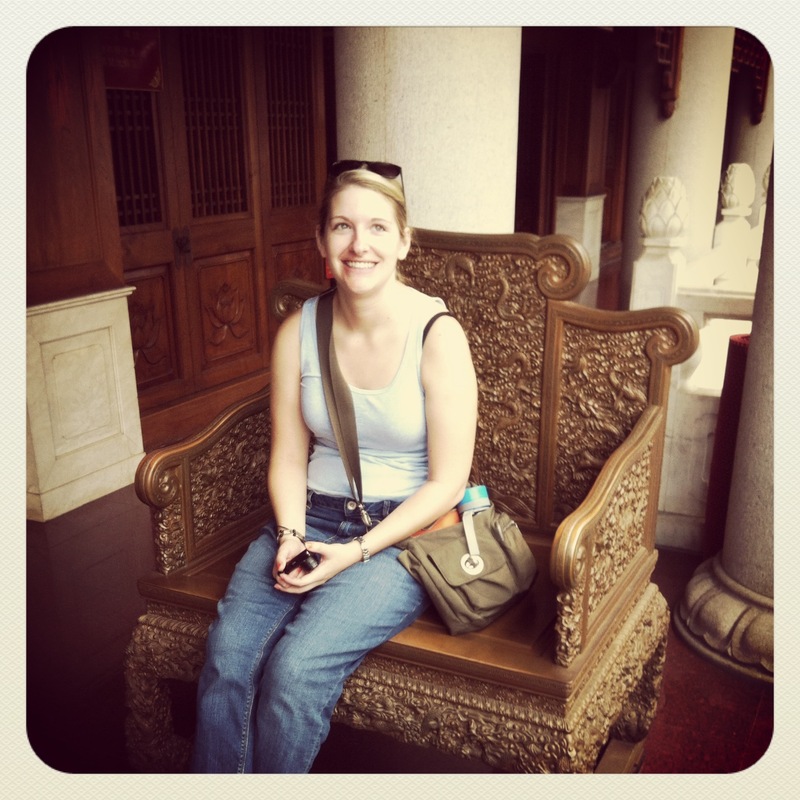 Angela sat in a chair that I am pretty sure was holy, and most likely forbidden. 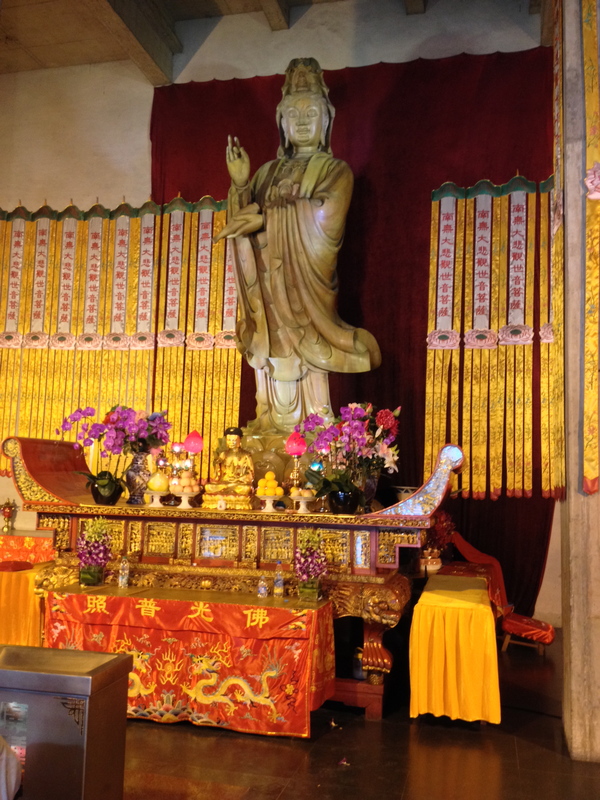 The first thing that anybody does when they enter a Buddhist temple is donate some money and pick up a few incense sticks, light them and proceed to bow in all directions. 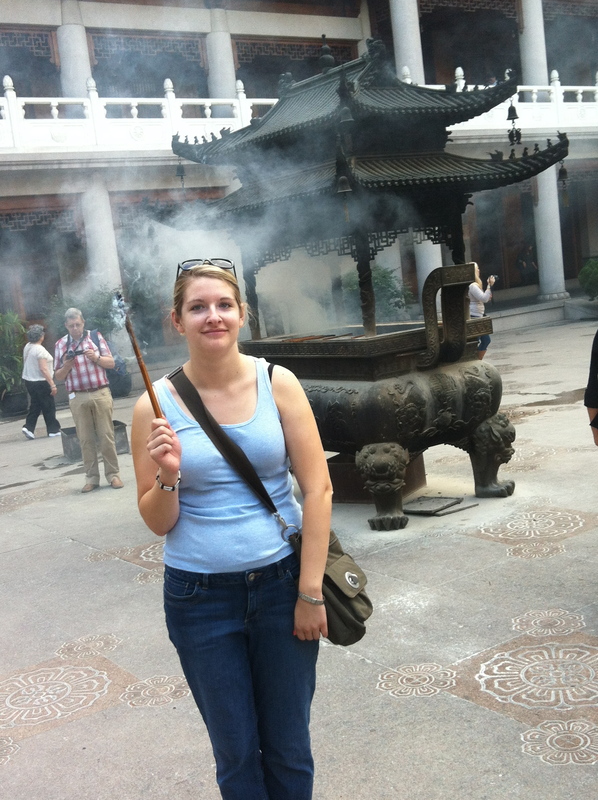 They then leave their incense on the fire, so the whole temple always smells really good. Angela decided to participate in at least the incense lighting part of this tradition. 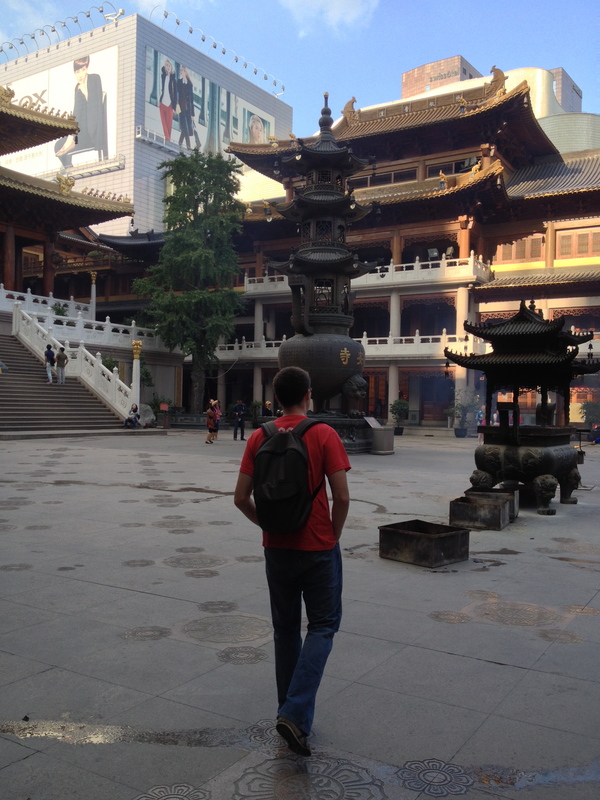 Many people said that Jing’an Temple was not really worthwhile. I am inclined to disagree as it was a peaceful and beautiful place to spend an afternoon. The price was also very low. After the temple, a group of us went with our new couch surfing friends to a nearby restaurant. So far, a great break! All for now.